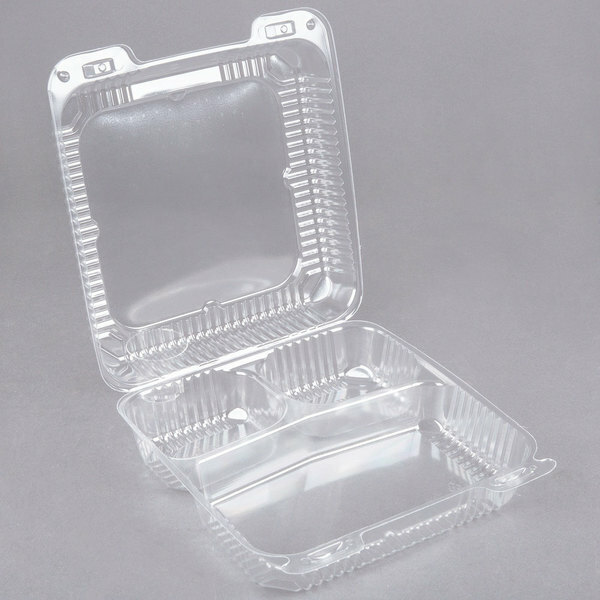 5" x 5" x 2 1/2"
5" x 5" x 3 1/4"
8" x 8" x 3 1/2"
This Durable Packaging PXT-933 Duralock 9" x 9" x 3" three compartment clear hinged lid plastic container is a perfect way to send desserts, pastries, salads, and specialty sandwiches home with your customers! Three individual compartments allow you to cleanly and easily separate sandwiches and snacks from their dressings, dips, and sides. 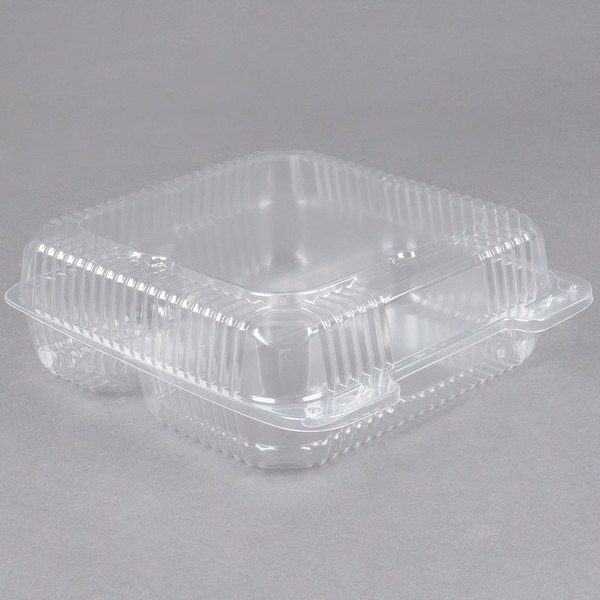 This clamshell container provides a solid seal to maintain product freshness and reduce leaks, while its crystal clear construction promotes excellent product visibility. The quality has improved and the increase in size is great. 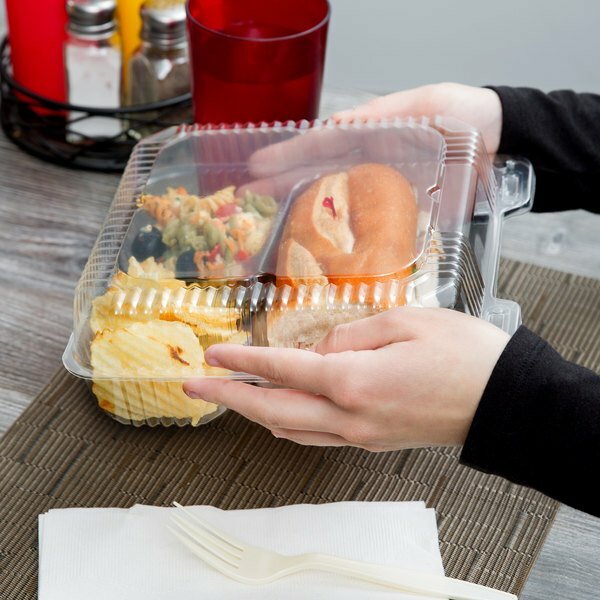 They work well for boxed lunches and for boxing the left over food for my clients. 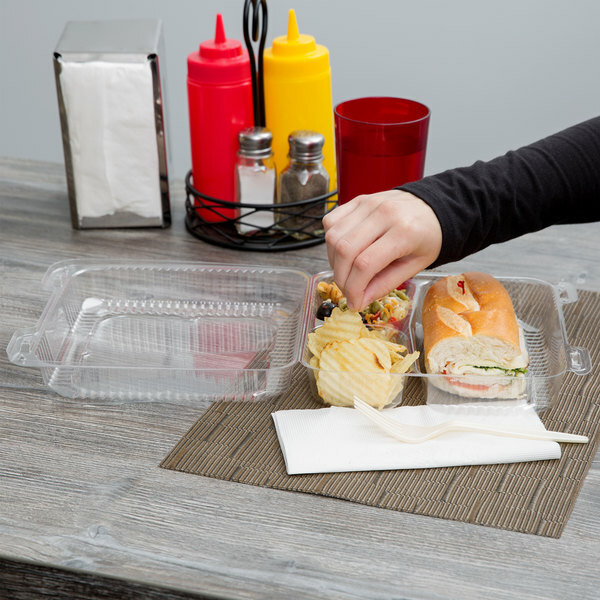 This plastic clamshell allows the visual impact of your food to be fully imparted on your customer. 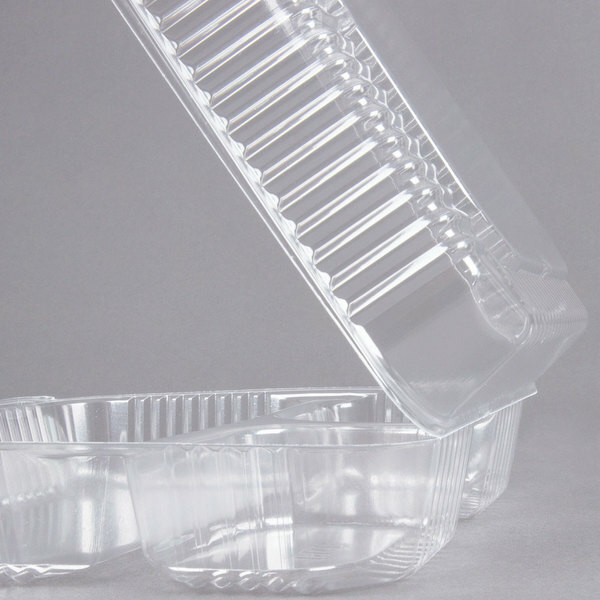 As take-out containers go, these are top shelf.